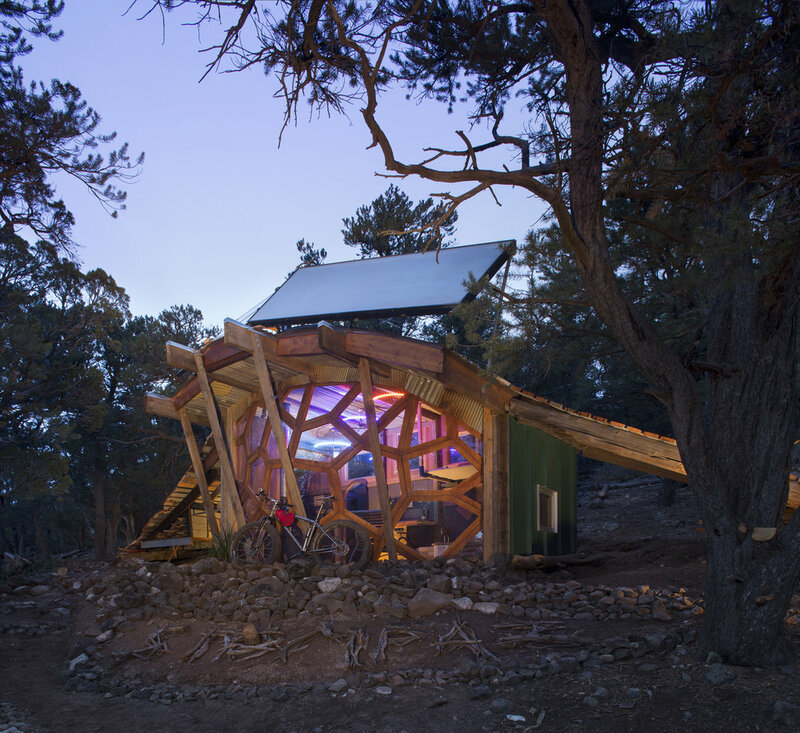 The Oculus - Off Grid Ridable Modern “Cabin"
- The Oculus is an off-grid structure that gets most of its heat from passive solar design. It gets additional heat from a solar hot water system tied to the radiant concrete floor. A solar electric system provides power for LED lights, sound, USB port and pumps. It has a wood stove as a back-up - in the unlikely event that we have a string of multiple cloudy days in the winter. Otherwise, the Oculus is operated entirely on renewable energy, without using combustion or fossil fuels! - It is an exercise in biomimicry. 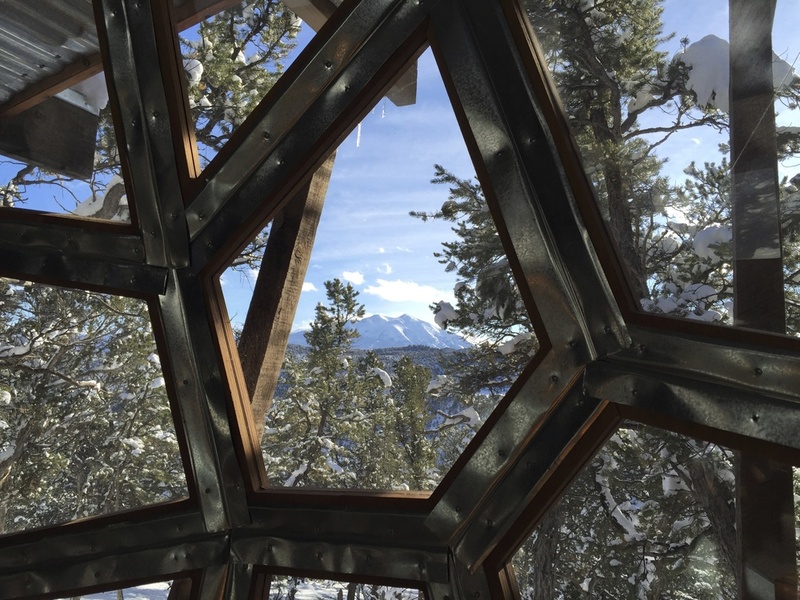 Oculus means "Eye," and our eye-shaped faceted window wall is designed to be an optimized passive solar design that takes in heat energy from the sun. - It was built in a grassroots fashion, with mainly volunteer effort and very little money. Our local community really believes in this project, and effectively willed it to happen with their broad support! 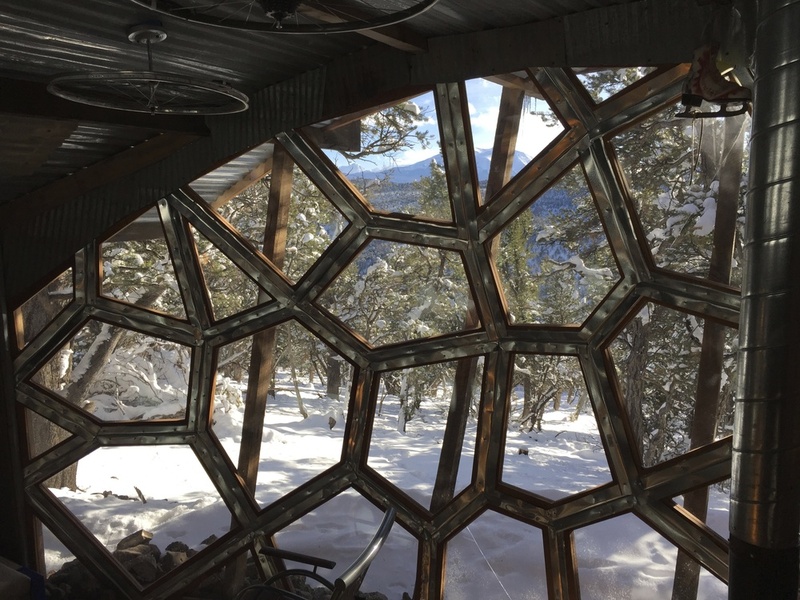 - The Oculus was built with over 60% recycled materials! 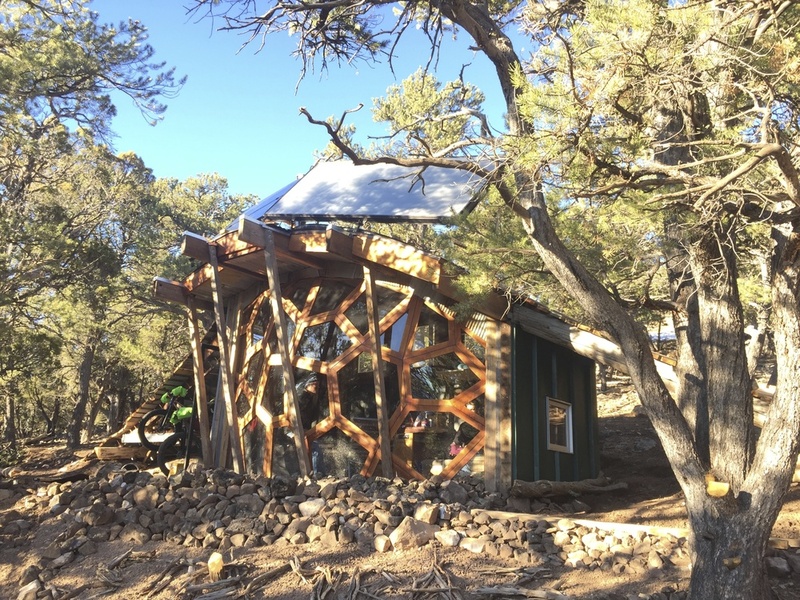 We had to purchase concrete and OSB sheathing panels, and some screws and joist hangers, but the majority of the materials were either salvaged, donated, recycled or reclaimed in some fashion. - The window wall, with its complex pattern of different shaped facets, was created through an integrated design process. It was tested and refined with CAD modeling and then sent to CNC machining for production. This type of sculptural architectural design is no longer solely reserved for large civic buildings. It is available to all of us now, for event the smallest of projects. Our intent was to make small, modular window frames at a reasonable size and weight to be carried on a bike. But as things go, we didn't get to try carrying the individual frames in on our bikes since the entire window packed was wheeled in on a pallet. (we were pressed for time) We set it on the back of a cargo bike with four guys holding the load steady and I rode the bike down the singletrack to the Oculus! - The Oculus allows us to test and refine the design and capacity of our cargo bikes. They performed admirably for the build, but we see improvements that can be made to these bikes so that we can bring materials in delicately to a remote site on singletrack mountain bike trails. - The project was done as a team exercise. Eight friends agreed to come together as the core build team. Everyone chipped in on evenings and weekends to get it done. - We all got to know each other a little bit better, and managed to navigate some tricky issues along the way. - We made quick decisions on the fly and we were able to get the entire project completed in just 10 weeks. - When you watch the show, surf our web site, or study our design, you may gain some insight into the outdoor lifestyle of the Stomparillaz. We are a community-based club of bike enthusiasts who ride and paint pictures and design and build - and generally do important-looking things where art and bikes come together. - We will now use the knowledge we have gained from this first iteration of the Oculus Concept to start planning for Oculus 2.0.